Are you thinking about a construction project for your home or business? Effective planning and research is crucial to the successful completion of any project. 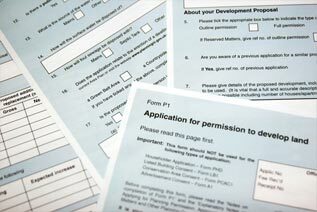 Let Imperial Home Services assist you in obtaining your building permits for your project. With over 15 years’ experience in the building and zoning permit application review and approval process, you can be sure that your project will get off to the right start by letting us help you obtain the required permits for your project. Before beginning your project, one of our experienced expeditors will review all of the documents that you currently have and help determine if there are any municipal or state building /zoning code conflicts. You may need additional information or variances for your project. Our reviewer will assist in this process. We will contact the local municipality and help you through any delays that can (And usually do) occur in the permit application process. Imperial Home Services can assist you from start to finish on your application process and stay with you throughout the project to ensure that the required inspections are performed in a timely manner as required by the local authority having jurisdiction. We will make sure the job is done correctly as our experienced staff will work to save you time and unnecessary delays due to bureaucratic red tape or incomplete applications. Imperial Home Services can eliminate the need for your involvement completely if dealing with local government is not something you want to do. Avoid the anxiety that can come with the permitting process by contacting Imperial Home services and have our experts help you with your project today.